Many invasive species are intentionally introduced as ornamentals in backyard gardens and water gardens. Some of these intentional introductions become unintentional escapes as the species moves away from its intended location. He's selfish, inconsiderate, and greedy. He gets in the way, takes more than his fair share and has habits that get under your skin. He rubs you the wrong way and is just plain annoying. Bob personifies the aggravating traits of an invasive species. He puts the obnoxious in noxious. Don't be Bob Noxious—help keep invasive species out of Idaho. How Did These Invasives get here? Some of the West’s worst invasive plants were intentionally introduced as ornamentals for landscaping and herbal gardens; purple loosestrife, salt cedar, knotweed, and policeman's helmet are just a few examples. Other invasive species, including pests, have also shown up unintentionally as contaminates in wildflower mixes, animal feed, and potting soil. These species include: oxeye daisy, houndstongue, yellow toadflax and Japanese beetle. 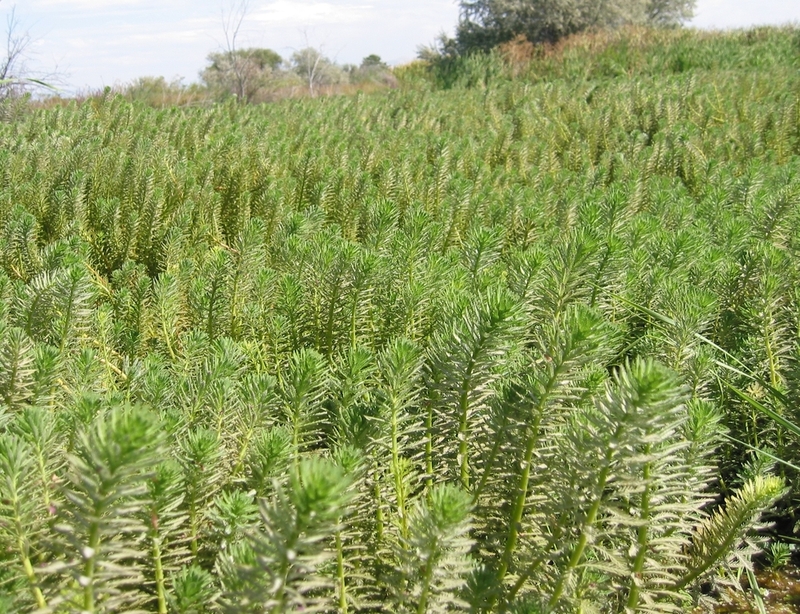 Unfortunately, many invasives either escaped containment or invaded unnoticed, and are now widespread in Idaho’s urban areas, roadsides, agricultural lands, waterways, and natural areas. Over the years, many of these invasive plants were introduced to serve a function – purple loosestrife as a medicinal herb, dyers woad had been used to manufacture blue dye, and yellow flag iris & water hyacinth were desired for their beautiful and showy displays. Early immigrants didn’t know that the introduction of these species would end up negatively impacting them. They were crossing oceans to a land unknown and wanted to take with them the way of life they were used to living – much like travelers pack supplies for long outings. We know that humans are the main dispersers of plants, but we also know that plant introductions have set the very foundation of modern agriculture and horticulture. Not all introductions are bad. In fact, it is only a small proportion of introduced plant species that become invasive and cause significant problems that threaten wildlife habitat, native ecosystems, agriculture and our economy. Control and enforcement of listed noxious weeds and invasive species are well defined and established in Idaho. The Noxious Weed Law, Plant Protection Act, and Invasive Species Act were all implemented to protect the state from the introduction of plant and animal species which exhibit potential to cause damage to the economy, environment, and human health. Idaho has on average over 1,000 licensed nurseries in the state. These nurseries are routinely inspected by the Idaho State Department of Agriculture for plant health, plant pests & pathogens, noxious weeds, and invasive species. State licensed nurseries provide quality products for local customers and also deliver piece of mind to all Idahoans who want to do their part in the prevention of invasive species. Learn how to identify invasive plants species along with the characteristics and impacts associated with them. Early detection is key to stopping new infestations before they start - Report Invasive Species. Always ask for non-invasive plants and only purchase stock from state licensed nurseries. Nurseries: don't stock listed invasive species or species which display invasive characteristics. Be wary of ordering plant stock online as they may not be subject to inspection upon shipment. Control and eradicate invasive species on your property and make sure barriers are in place to prevent escape. Dispose of unwanted vegetation by burning, composting, or drying out completely for water garden species. Keep water gardens contained and don’t allow water to flow out into adjoining systems. Never release any water garden species into surface waters. When trading plants, only accept non-invasive species or species with non-invasive characteristics. Never accept or plant an unknown (or un-researched) species.